The extension of the league schedule by one week, coupled with the Revs’ seeding, meant we didn’t get a home game the weekend of Halloween. No matter; I sent (via Julie) pumpkins to the road trip down to the Meadowlands. It’s now at the point I can do Rev logo pumpkins in my sleep. The U.S. Open Cup trophy, the first piece of actual silverware in the Revs’ half of the Gillette Stadium trophy case. I’m not feeling any regrets at all about volunteering to drive the Wells Thompson bandwagon back in April. 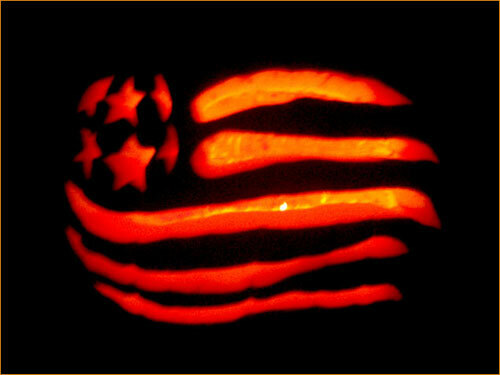 Once again, we’re undefeated in games to which I’ve sent pumpkins. Perhaps I should just buy post-Halloween leftovers to use for the rest of the postseason. 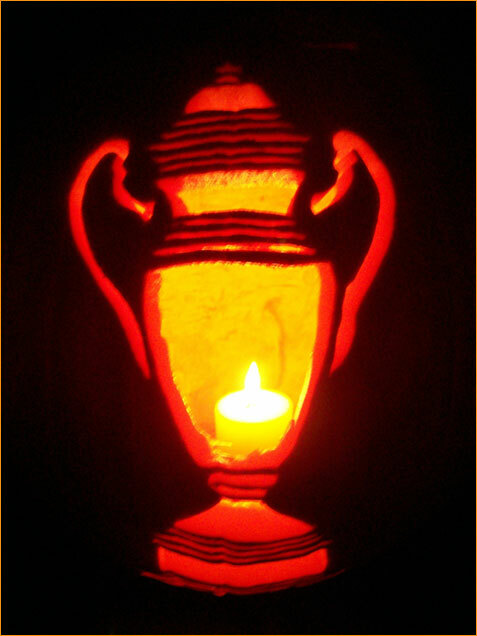 This entry was posted in finished projects, goofy, pumpkins, revs. Bookmark the permalink.